There is not only one way to help us better spread the wisdom and compassion. From one penny to millions of dollars, from a piece of paper to acres of land, offerings from donors and patrons made possible the continuation of the precious spiritual assets. Can not financially support us? You can always help our organization running through working on interesting and meaningful projects! Set up AmazonSmile and simply use smile.amazon.com every time you make a purchase on Amazon. Amazon will donate 0.5% of the price of your eligible AmazonSmile purchases to our organization (shown as Tibetology Inc). 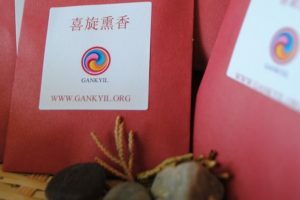 Friends of Gankyil donate regularly to cover the essential cost of the operation of Gankyil Organization. Your tax-deductible donation will contribute to inspiring more people in a broad way, and bring peace to the world. You will receive receipts through email if you donate online (Credit card and Paypal). For check donations, the cleared check (usually available in through online banking) can be used as a receipt. You can also ask for a receipt from our staff. Your donation is SSL secured. Powered by Paypal and stripe.com. Note: please email info@gankyil.org if have special requirements about your donation. 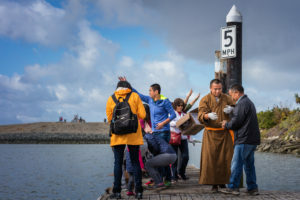 To make the precious Buddha dharma accessible to everyone, and to inspire others through wisdom and compassion, we need your help. Please talk to us if you have an interest!